February 5, 2019 4:48 pm. 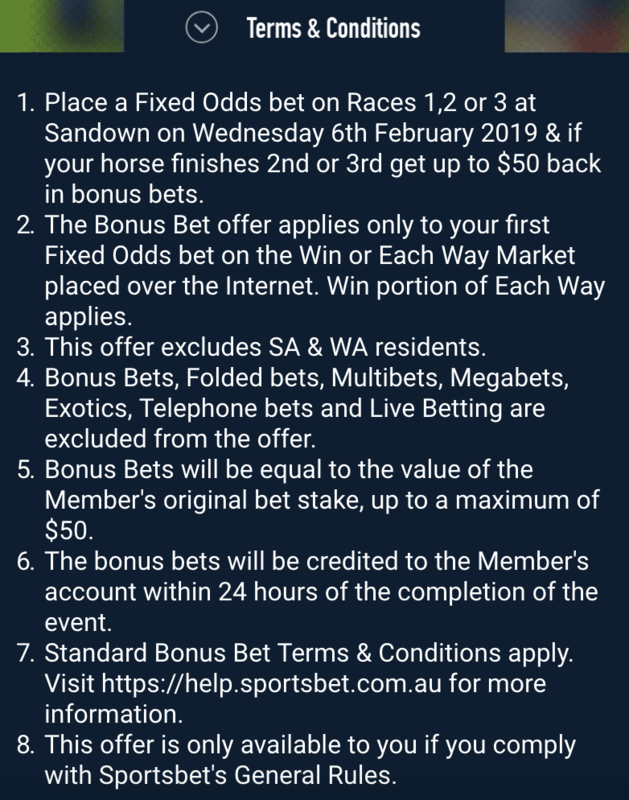 Punters looking for a leg-up to get through hump day this week should look no further than Sandown and Sportsbet.com.au. 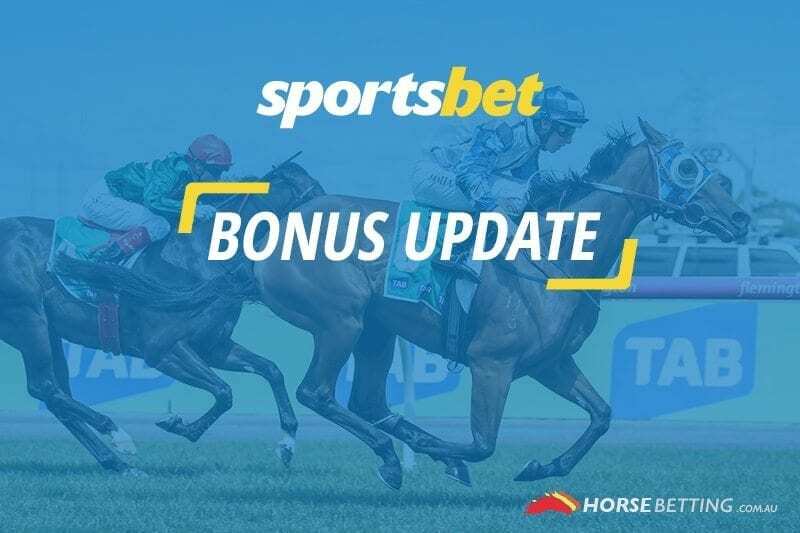 Victorian punters in need of some special treatment after a week of cruel scandals will be well looked-after at the Aussie bookie, which has a special bonus offer at the Victorian track. 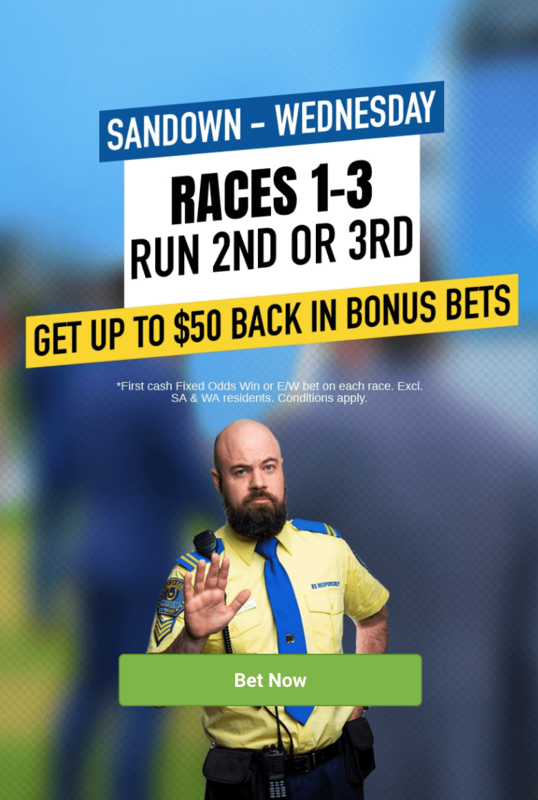 On Wednesday at Sandown, if your fixed odds winning bet finishes second or third in the first three races, you’ll get up to $50 back in bonus bets. The deal excludes residents in South Australia and Western Australia due to state laws. Please read all of the terms and conditions below carefully and gamble responsibly. The eight-race meeting at Sandown kicks off at 4pm AEDT.